What are the top landmarks in Shanklin? Explore the great outdoors at Shanklin Chine, a lovely green space in Shanklin. Stroll along the area's beautiful beaches or simply savour its lively bars. Why not spend a care-free afternoon at Shanklin Beach during your travels in Shanklin? Amble around the area's parks or experience its theatre scene. If a restful holiday is part of your travel plans, Small Hope Beach might be the perfect place to visit during your trip to Shanklin. Wander through the seaside and picturesque gardens in this relaxing area. Explore the campus of University of Portsmouth, a top university in Portsmouth. Savour the lively bars and top-notch restaurants while in town. 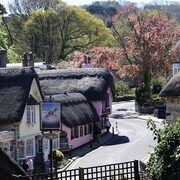 The old town of Shanklin has some very nice pubs, restaurants and shops which are a short walk from the hotel. 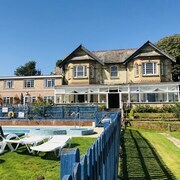 We had a lovely break at the hotel, very helpful staff, excellent location easy to walk into Shanklin and Chine nearby, next to park and cliff top walks and steps down to beach although steep. 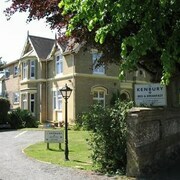 The location of the B&B itself was good too, with just a couple of minutes walk to Shanklin beach. Took the train to Portsmouth, the ferry to Ryde, and the tiny train to Shanklin. 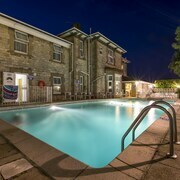 The hotel is in Shanklin and the amusement centre were close and the vineyards also not far. Shanklin beach is about 10-15 minute walk, lovely to get to via Shanklin Chine, which is even more breathtaking at night with the lumiere light show. staff very friendly and helpful. 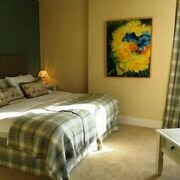 Rooms bright and clean and great views. Gardens nice. Food good. In addition to its wealth of natural beauty spanning dramatic coastlines and grassy pastures, the Isle of Wight is home to a number of enchanting towns. Sandown Bay, in the east of the island, is home to a small collection of picturesque and unique towns, one of which is the popular seaside resort of Shanklin. Visitors can expect a first-class beach, a wooded ravine, and a smattering of impressive hotels, guesthouses and B&Bs. The Isle of Wight is blessed with a wealth of outstanding beaches, ranging from the sandy and exotic to the rugged and rocky. 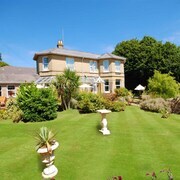 One of the best known and most accessible is in Shanklin. The long stretch of sandy beach is a real favourite among families, thanks to its safe swimming and range of nearby facilities. The bustling esplanade is a great place to stroll at any time of day, and is peppered with places to eat and drink. Stepping a little way back from the seaside, Shanklin has plenty more to offer visitors. The wooded ravine known as Shanklin Chine is a tranquil spot, particularly popular with keen walkers. The island is home to one of the few remaining colonies of red squirrel in the United Kingdom, and a small squirrel feeding station encourages visitors to appreciate the wildlife living in the steep and pretty gorge. The Old Village is one of the most picturesque and charming man-made locations on the island. 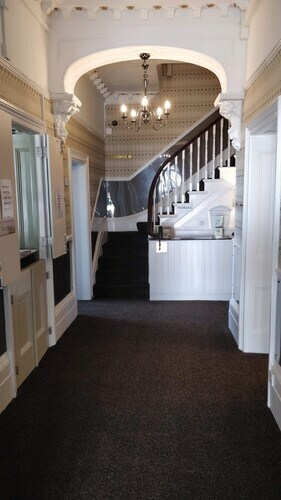 Among the old buildings you'll find a number of shops, tea rooms and pubs. In the nearby village of Godshill, there's a 1:10 scale model village of the Old Village, which is well worth the visit after seeing the village itself. 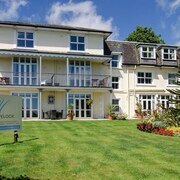 Shanklin offers a broad range of hotels, from rural spa retreats to central B&Bs. 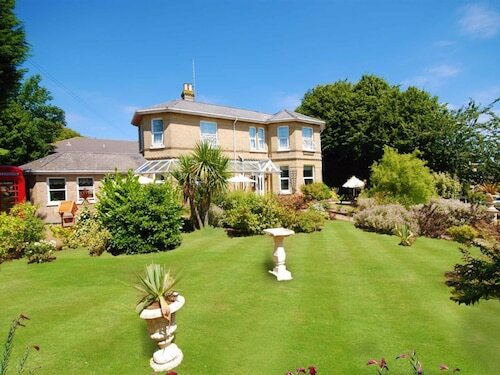 Those seeking some peace and quiet can head for Luccombe Manor County House. Within the expansive grounds, guests can find an outdoor swimming pool, restaurant, and a games room for kids. The Channel View Hotel makes the most of its seafront location, offering views out across the glistening ocean. There's also a full service spa and an indoor pool, for total relaxation during your stay. 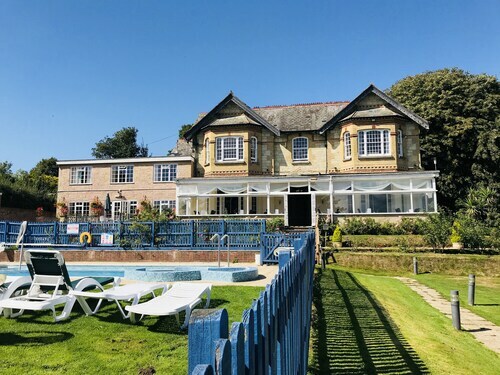 Explore Shanklin with Expedia's Travel Guides to find the best flights, cars, holiday packages and more!